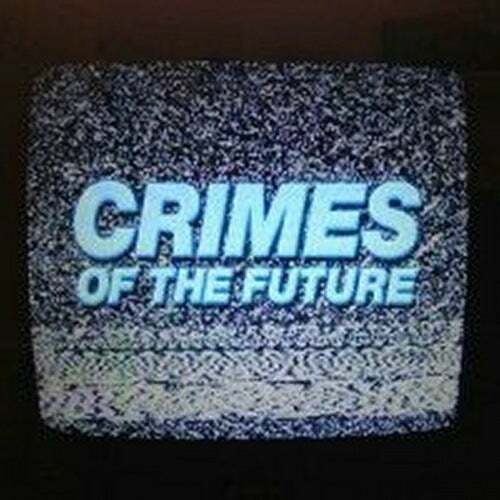 Crimes Of The Future 016 is a very special collaboration between N.O.I.A. Rubicon & Rude 66 with the track 'Morning Bells'. Italian synth pioneers N.O.I.A. formed in 1978 originally as a 5 piece band, their New Wave sound was a precursor to Electro & Italo. In 1983 they signed to Oderso Rubini's Italian Records as a three piece. During their golden age of 1983-1985 N.O.I.A. released 5 singles and the mini LP 'The Sound of Love' which were all successful in the European dance market. Also in 1983 Band member Davide Piatto composed the dance classic 'Dirty Talk' sung by Rossana Casale. Released under the name Klein & MBO and it reaches the top of the charts all over the world. N.O.I.A are still producing music in their studio based in the seaside city of Cervia. Rubicon is an Italian electronic musician and producer. He comes from a small town in North-eastern Italy, land of the red river Rubicon that was famously crossed by Julius Caesar. Rude 66 is known a being one of the creators of The West Coast Sound Of Holland. A prolific producer in electro music and acid house since the early 1990s. Born Ruud Lekx, Rude 66 has been making noise since the '80s, when his first musical endeavours involved noise bands and EBM. His first solo work, however, surfaced in 1993 on the newly founded Bunker Records, after Lekx passed a tape of acid tracks to high school classmate (and Bunker co-founder) Guy Tavares. 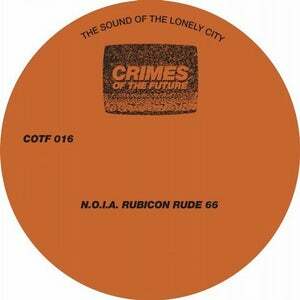 Alongside like-minded artists such as I-f and Unit Moebius, Rude 66 was instrumental in putting the seminal Hague label on the map, releasing multiple albums and EPs of gritty, lo-fi acid sounds. The track 'Morning Bells' was originally demo'd by N.O.I.A. then produced and arranged together with Rubicon, Rude 66 mixed and added the final touches. The track is both moody & uplifting, hinting at Electro, Acid & Italo, as well as all the signature sounds of the collaborators. For the remix there is a version produced by Timothy J. Fairplay. Due to the analogue nature of how the original was recorded there were no 'parts' to do a remix with, so Timothy rerecorded all of it from scratch, more a cover than a remix, Timothy's version sits on an Electro break unlike the 4/4 original and is maybe a touch more menacing.